Originally Submitted to FurAffinity.net on Jun 19th, 2017 06:02 PM. Before it was transferred to Inkbunny it had 69 views and 8 favorites. 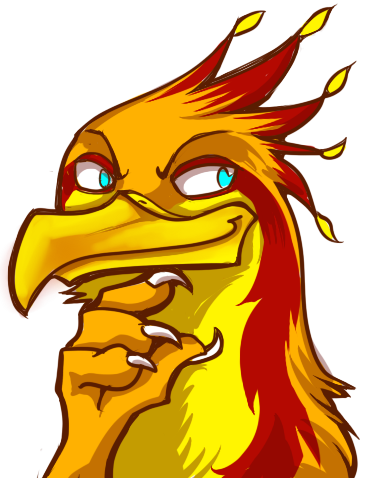 My phoenix character, X in the same expression as pepe. who wants one like this?